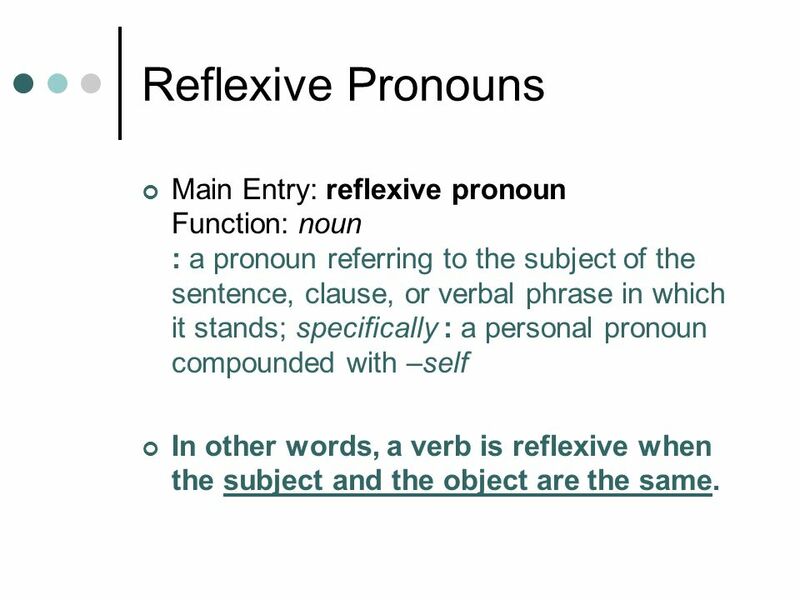 2 Reflexive Pronouns Main Entry: reflexive pronoun Function: noun : a pronoun referring to the subject of the sentence, clause, or verbal phrase in which it stands; specifically : a personal pronoun compounded with –self In other words, a verb is reflexive when the subject and the object are the same. I wash myself. Subject: I verb: wash object: myself I wash the car. subject: I object: car Since the subject and object are the same, the verb is reflexive. 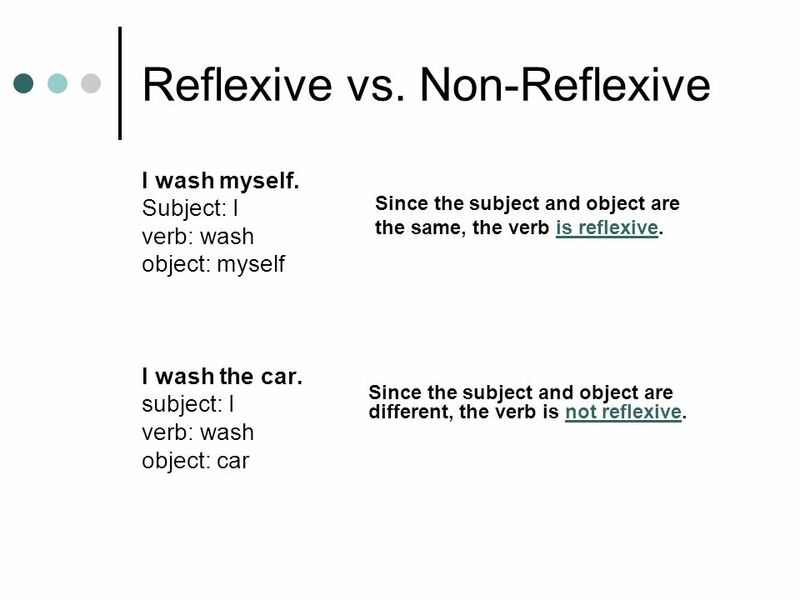 Since the subject and object are different, the verb is not reflexive. 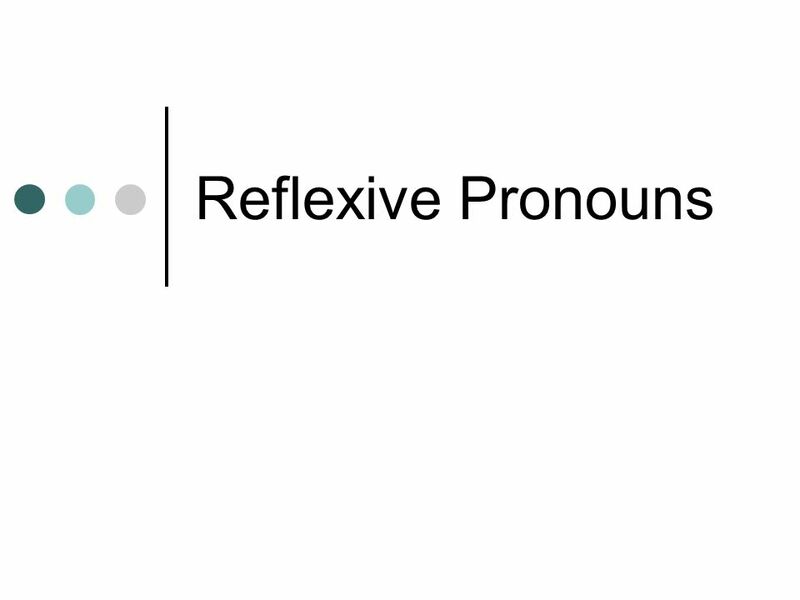 Where do we place the reflexive pronoun? BCV – before the conjugated verb. Example – Me lavo el pelo. ** At times you may see it at the end of an infinitive (ex. tiene que lavarse); however, for right now, we will place it in front of the conjugated verb (se tiene que lavar). 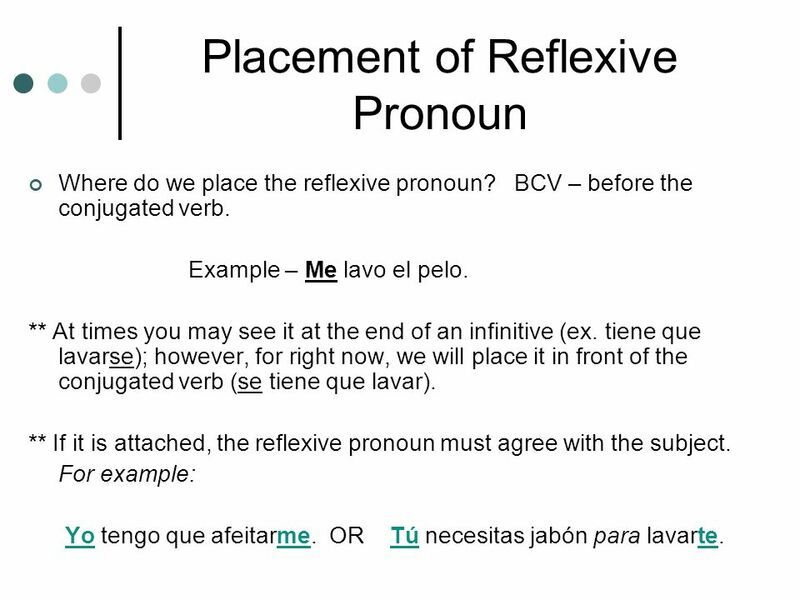 ** If it is attached, the reflexive pronoun must agree with the subject. For example: Yo tengo que afeitarme. OR Tú necesitas jabón para lavarte. te afeitas la cara con la crema para afeitarse y la afeitadora. 1. él se peina el pelo. 3. Julieta se depila las cejas con las pinzas. 5. El osito se baña. 4. Ella seca el perro con una toalla. 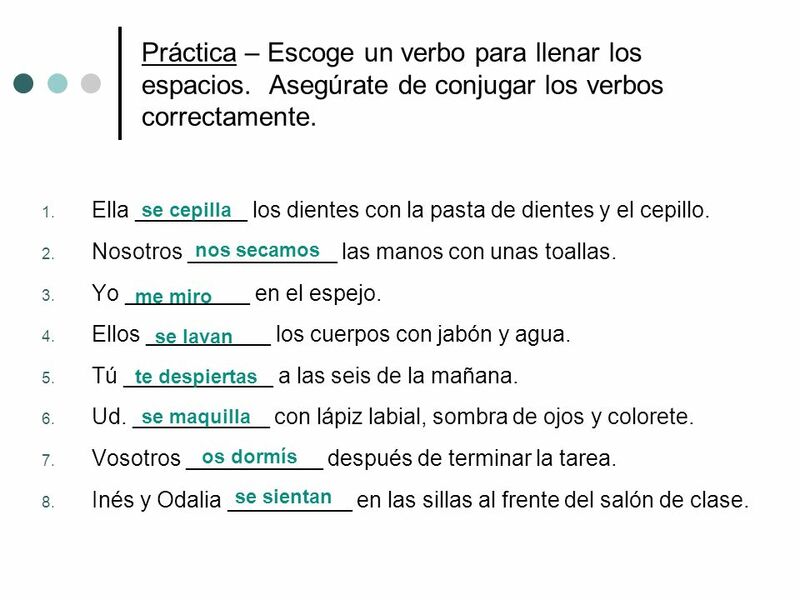 Spanish One Language Objective: Topic: Class: Content Objective: Day one Language Objective: Topic: Class: Content Objective: Day One Reflexive Verbs I.
Verbos Reflexivos -	explanation of English reflexive verbs and pronouns -	reflexive pronouns in English and Spanish -	reflexive verb drills in Spanish. Capítulo 6 La vida diaria Copyright © 2012 by John Wiley & Sons, Inc. Dicho y hecho Ninth edition This chapter is seriously over-packed with grammar: so. Los Reflexivos. 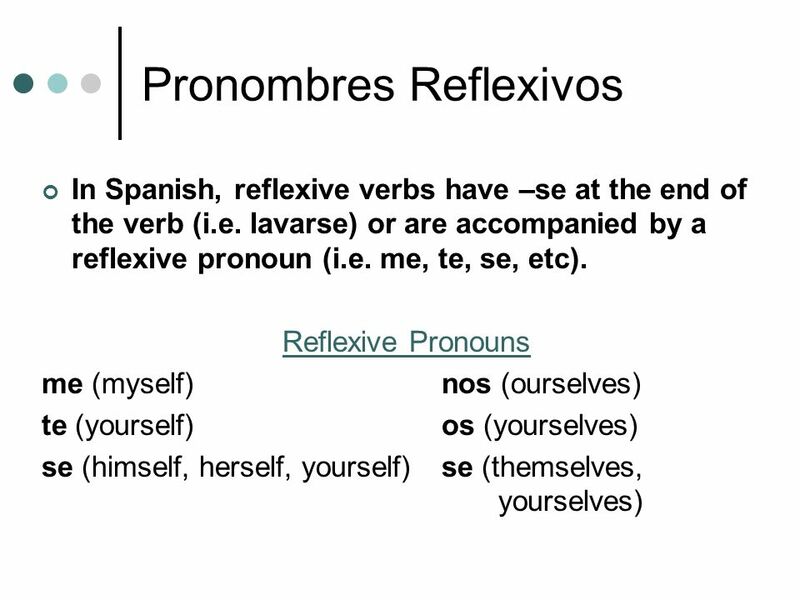 Reflexivos- p A reflexive verb is a verb in which the action reflects back on the subject (the person doing it) 2. In Spanish the. 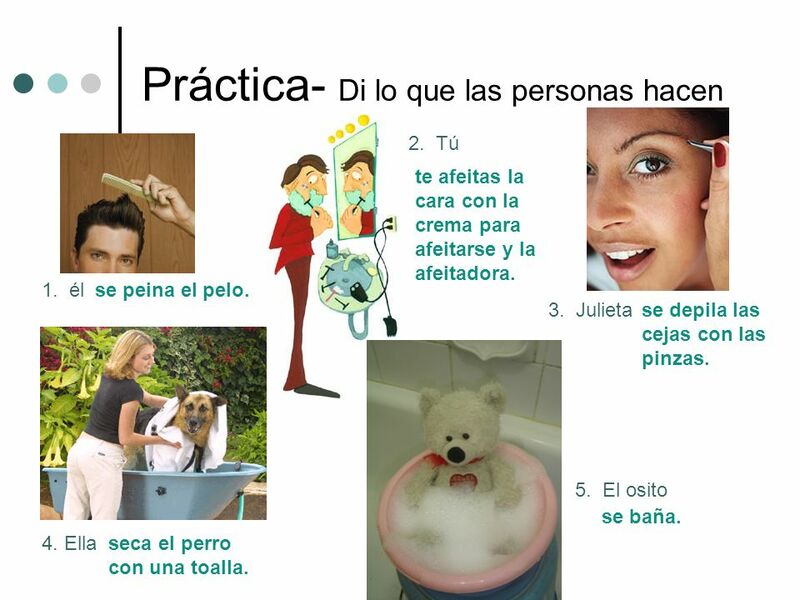 Using Infinitives Spanish 1 Chapter 7.1.